Hello, and welcome to the April 2014 edition of the Cactus Worldwide blog for our foreign language courses abroad! My name is Ollie, and I am the Product Manager for our agency – Cactus Worldwide. Our team of experienced course advisors are here every day to discuss options with you and help set up a varied range of unique language-learning experiences, all over the globe, throughout the year, for all of our wonderful students. 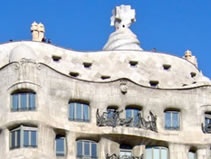 This month’s blog offers a quick update on some of the great special offers currently available to book via the Cactus website, and also offers some European destination ideas for brushing up your language skills over the next few months. 1. Get twice as much for your money on selected dates in Ibiza! Beyond her globally recognised reputation as a hedonistic ‘party island’, the destination of Ibiza has far more to offer a visitor than nightlife and club culture alone. 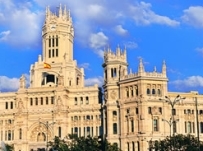 Stunning beaches, beautiful green spaces and laid-back, friendly people make this a great choice for anyone looking to brush up their Spanish somewhere away from the mainland. Affordable accommodation and flights from most international airports make this choice an easier one on the wallet as well, not to mention that fantastic new special offer we have for you on selected dates! If you book 2, 4, 6 or 8 weeks of Spanish in Ibiza Town, for a start either on May 12th, or September 29th 2014, then you will receive twice as much for your money – that’s 2 weeks for the price of 1; 4 weeks for the price of 2; 6 weeks for the price of 3; or 8 weeks for the price of 4! The offer applies to the school’s essential General Course of 20 lessons per week (4 lessons per day) in international groups with a maximum of 8 students – all course materials and registration fees are included in the prices you see on our website, and classes are available for students of all levels. There are also huge savings to be had for the same start dates on the school’s Intensive Course of 30 lessons per week, for any students who want to push themselves that bit harder, and spend a bit more time in the classroom – you can see the info here! 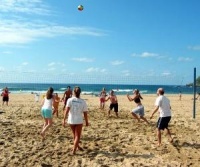 Independent, family-run, Instituto de Idiomas Ibiza is fully air-conditioned and equipped with computers, learning materials and free Wi-Fi, and is centrally located just moments from the coast on Avinguda D’Ignasi Wallis (https://goo.gl/maps/6J4ZC). Its medium size gives the school a welcoming and intimate atmosphere where all students quickly get to know one another, and there is always a great mix of ages, nationalities, and abilities in attendance – so a perfect choice for groups, couples, or solo travellers alike! 2. 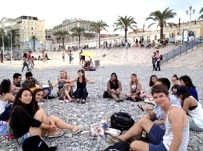 5 weeks of French classes for the price of 4 on the French Riviera! 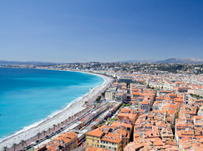 This is a ‘Happy Birthday’ offer for our partners in Nice, on the French Riviera. This city centre school, owned and operated by quality small chain France Langue, turns 20 years of age this year – and to celebrate they are offering a free week of French classes for any students who are able to attend the school for a month or more, any time in 2014! The offer applies to both the General Course (20 lessons per week), offering a saving of almost £200; and the Intensive Course (30 lessons per week), with a huge saving of £275 on the course fees, which are inclusive of all registration fees and course materials. Classes here take place in groups with an average size of 10, and occur in the morning or afternoon dependent on your level, and the time of year (outside of the summer season, most classes take place in the morning, when the school is quieter). The lessons focus on improving comprehension, grammar awareness, and all four vital skillsets of speaking, listening, reading and writing; and for students opting for the intensive course option, additional classes take place in the afternoons which focus on conversation skills, writing skills and understanding phonetics. The best thing about this school is the huge range of activities and excursions available to students throughout the year, and this makes it a superb choice for solo or first-time travellers. 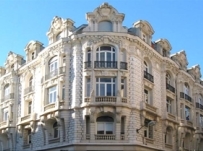 Many students combine their French studies with sports sessions, cookery or culture classes, as well as taking advantage of the extensive social programme scheduled by their experienced team (20 years’ experience that is!). You can view the programme here, and check out the special offers on our website here. Profitez-en! Have you ever been to Cologne (Köln)? 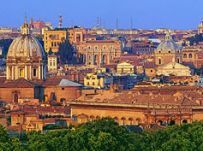 If not, perhaps now is the time as this is another historic, must-visit European destination that is increasingly well served by affordable flights from a range of international airports. The medieval city spreads out on either side of the River Rhine in North-West Germany, and hosts some of the most incredible modern architecture in the country, as well as the famous Kölner Dom, a UNESCO World Heritage site. 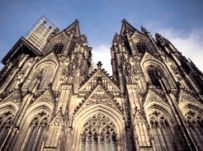 The cathedral is Germany’s most-visited cultural attraction, with approximately 20,000 visitors every single day! Plenty of quality shopping opportunities and a vibrant nightlife (more than 70 nightclubs and late-night bars) neatly round the city off as one of the key places to visit in order to discover Germany’s past, present and future. Our colleagues at the Fremdsprachenforum on Lindenstrasse (Claudia & Chantal) run a true family-feel school close to the city centre, completely independent, and incredibly welcoming to students of all ages, abilities and nationalities. The school prides itself on providing the highest quality teaching possible, and at affordable prices, meaning you can take a General Course of 20 lessons per week here for as little as £88! A Combined Course which provides 20 group lessons per week, plus 5 private lessons, is also a bargain at £193 for one week; or a full-on crash course of 25 private lessons in one week is just £483 – a perfect solution for any student who needs to learn as much as they can, as quickly as possible. Long-term students, for example, can spend a month in Cologne, take 20 lessons per week, and stay with a host family in the city for a total of £820, which is excellent value. All the course listings are available to view on our website here. Any Qs at all, as always, please feel free to contact me directly and I’d be happy to help. The German Christmas season starts in the beginning of December when everyone decorates their homes. 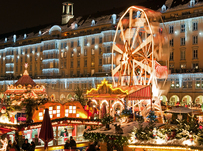 Towns and cities put up Christmas lights, people make their home made Plätzchen (Christmas biscuits) and supermarkets are filled with Schokolade (chocolate), Lebkuchen (gingerbread), Marzipan (marzipan) and other sugary Christmas treats. A German Christmas tradition that helps counting down the days until Christmas and is also a great excuse for eating chocolate before breakfast are Adventskalender (advent calendars). A lot of people make theirs or at least fill them themselves, and you can also buy different fillers from the supermarket: like chocolate, wine gums, toys or even cosmetics. Another tradition that helps to count down the days before Christmas are Adventskränze (Christmas wreaths). They come in many different versions made from pine, wood, plastic or metal. But they are always round and feature four Advent candles. One of them is lit every Adventssonntag (Advent Sunday). For decoration, there are a couple of typical German accessories: Rauchermännchen (German incense smokers), Schwibbögen (candle arches), a Krippe (nativity scene) or simply Lichterketten (holiday lights). What’s great about the German Christmas season is that there is another festive day at the beginning of the month. On December 6th Germans celebrate Nikolaus (St. Nicholas Day). Children clean their boots and put them in front of their door. If they have been good all year, the Nikolaus will put sweets and treats in their shoes. If they have been bad, all they will get is a Rute (twigs). Of course you can get some of the treats on the Weihnachtsmarkt (German Christmas market). If you’ve never been to one-you’re definitely missing out. 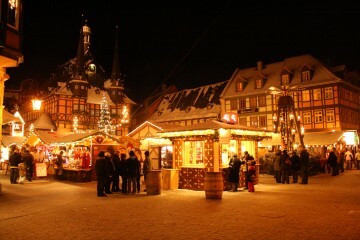 Every city in Germany has at least one Christmas market with little stalls where you can buy presents, jewellery, and treats like Bratwurst, Flammkuchen (tarte flambée) gebrannte Mandeln (burnt sugar almonds) and everyone’s favourite: Glühwein (mulled wine)! 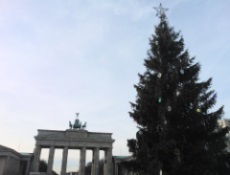 The Weihnachtsbaum (Christmas tree) is usually put up and decorated on the 24th of December. German Christmas tree decorations do not really differ from other countries. People just decorate their tree depending on their personal taste or family tradition. On Heiligabend (Christmas Eve), before opening presents, some families go to church, others just go for a walk or have tea. Depending on which part of Germany children are from they either believe in the Weihnachtsmann (Santa Claus) or the Christkind (Baby Jesus) delivering their presents. In Germany there are also a lot of regional differences when it comes to Christmas dinner. Most people keep it very simple though and have Würstchen (sausages) or Bratwurst with Kartoffelsalat (potato salad). Then, on Boxing day and Christmas day, the 1. und 2. Weihnachtsfeiertag it’s time for the festive meals: Gänse- or Entenbraten (roast goose or duck), Rotkohl (red cabbage), Grünkohl (kale), Maronen (chestnuts) and of course Klöße (dumplings). Every year over 6 million people flock to the city of Munich in Germany to be part of the world famous German festival, Oktoberfest. And what exactly do you do? 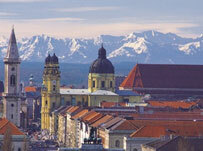 Drink beer from 6 of Munich’s brewers for 16 days! However, there are plenty of other things to do in this charming city in southern Germany, such as trying the delicious local food and taking a ride on the world’s largest portable rollercoaster! Finally, if you really want to join in the festivities, why not try dressing up? Ladies traditionally wear a Dirndl, which is a Bavarian dress with an apron, and men wear a Lederhosen, which are leather shorts with embroidery. 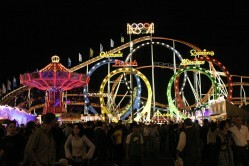 Impress the locals with our top 10 Oktoberfest phrases and vocabulary! Another beer please Noch ein Bier, bitte. I need a re-fill, please! Nachschenken, bitte! Which way is the Wiesn? (Large field where Oktoberfest takes place) Wo geht es zur Wiesn? Next round is on him/her! Die nächste Runde zahlt er/sie! If you find yourself wanting to expand on your vocabulary, also visit www.oktoberfest.de for a whole dictionary of essential Oktoberfest words. In actual fact, Hamburg (formally known as the ‘Free and Hanseatic City of Hamburg’) is Germany’s second largest city, both in terms of size and overall population. The port of Hamburg is the central hub for trade with Eastern and Northern Europe. As a container port, Hamburg holds second place in Europe and seventh place in the world. Perhaps a lesser known fact, Hamburg has over 2,300 bridges – more than Venice and Amsterdam combined! Hamburg is a very cosmopolitan place, and is home to many students who attend the large university there. If you’re looking for a place with oodles of history and culture, and fantastic nightlife to boot, look no further. Cologne is a great place to take a German course, with plenty to keep you occupied outside of lessons. 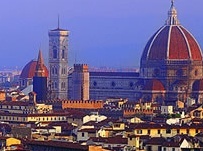 Below are ten little known-facts about the city, which we hope will inspire you to visit! 1. Located on the Rhine, Cologne is Germany’s fourth-largest city and one of the oldest cities in the country too. 2. Cologne’s impressive Cathedral is Germany’s second largest religious building. Every year thousands of tourists climb the 509 steps to the top and their efforts are suitably rewarded with a magnificent view of the city and its surroundings. For a while, after its construction in 1880, the cathedral was actually the highest structure in the world. 3. 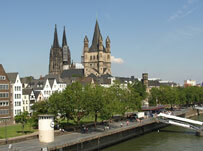 Cologne is known as the city of churches, with 12 large Roman churches located within the medieval city walls. 4. 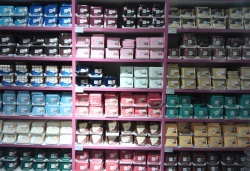 It is home to a museum dedicated entirely to chocolate! 5. Cologne has a top-quality array of cultural attractions. 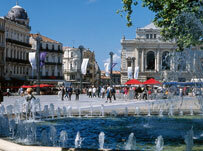 It is home to over 40 museums and more than 110 galleries. 6. Every year in July, Cologne hosts Germany’s largest high-altitude musical firework display – the “Cologne Lights” (“Koelner Lichter”). The impressive display and accompanying party atmosphere attract hundreds of thousands of visitors each year. 7. Cologne has its own beer, which is known as Kölsch. The name Kölsch is protected by law so that only beers brewed in and around Köln can bear the name. It’s a pale, straw-coloured beer that is said to be refreshing and sweeter than other German beers. 8. Cologne is home to one of Europe’s largest Pride events. During the first weekend in July every year, more than half a million participants and visitors come together in Cologne’s city centre to party. Besides having fun, the event does focus on current political issues, which are always expressed through the parade’s theme. 10. Cologne was the hometown of Italian expatriate Johann Maria Farina, who created a fragrance and named it after the city. Eau de Cologne or “water from Cologne” is still famous the world over, and is still produced in Cologne today. 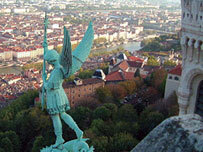 Find out more about German courses in Cologne, the rest of Germany, Austria and Switzerland.